Achilles and the tortoise is a real humdinger of a paradox and we can only wonder what this man Zeno must have been like. He was the most famous pupil of the equally famous philosopher Parmenides, founder of the Eleatic school of philosophy in ancient Greece. Both of them lived in the ancient colony of Elea (now Velia in southern Italy) and both appear in Plato’s eponymous dialogue Parmenides, though Zeno only briefly. From what Plato says, we can deduce that Zeno was older than Socrates and wrote a book defending Parmenides’ philosophy. But not very much more. All this happened around 450 B.C., so it was quite a long time ago! But if you visit Velia today, you can still see many well-preserved ruins of the ancient Eleatic settlement. 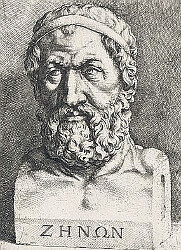 Many of Zeno’s paradoxes were also discussed by Aristotle and his commentators and that’s how we know about them. But overall we know very little about Zeno. 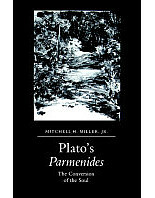 If you are curious, one place to start is Plato’s Parmenides. If you’d like to know more about Thomson’s lamp, see his original paper, “Tasks and Super-Tasks,” published in the philosophy journal, Analysis, volume 15, 1954.